Hope everyone aware of the trending word Instagram and Hashtags! Facebook and Instagram are the king and queen of Social Media Platforms! If you’re looking to be more famous with 1000s of active followers, then Instagram will be the right option. Having an Instagram profile will help you to build a solid presence on the platform in order to engage and connect with your target market. In this article, we are going to discuss the top 10 Instagram Marketing Strategies that every business owners need to know. Continue reading this article and get ready to start implementing Instagram Marketing for your business. Instagram has a user base of over 800 million users, adding over 100 million since the year o017. Not only for personal uses, Instagram also works better for business, it means it acts as a valuable tool in terms of conversions, customer relationship, brand promotion and more! As you all know, Instagram is a free photo and video sharing application which supports all OS. 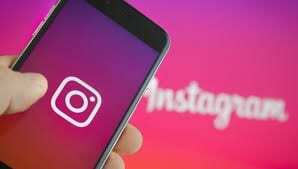 Via Instagram people can upload their photos, videos, stories or GIFs and share it with their followers or with a selection of friends. People can also be able to view, comment and like posts shared by their friends on Instagram. If you’re planning to use Instagram for marketing purposes, then it’s better to use a business Instagram account. The business version will allow you to do more with your posts than a regular account. 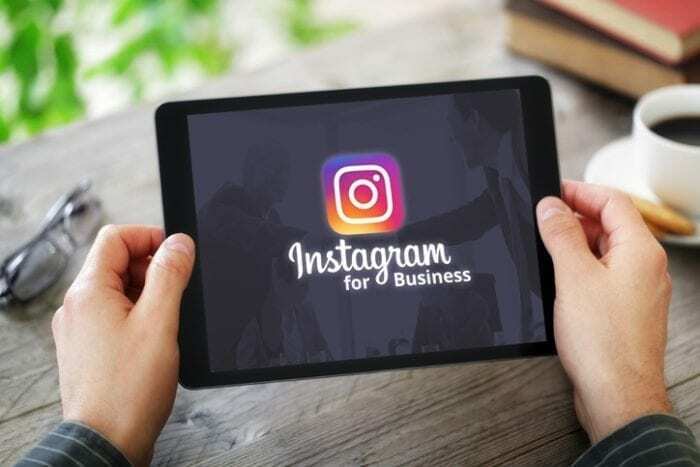 Using Business Instagram account will give access for you to create ads, sponsored posts, and add a call-to-action (CTA) to some of your posts! Once you fill out all the needed details, click ‘ok’, now your account has been created. From there, you will find options on how to switch to a business profile or sign up for a business profile. Photo ads are just using images to create an ad and post it in your Instagram account. This ad allows you to showcase your brand or products through a photo. Usually, this type of ad exactly looks a normal Instagram post, “sponsored,” at the top right corner. For this, you can set targeted audience, so that this ad will show up to the certain set of followers. Rather than reading 1000 words, people prefer to watch 2 minutes of video. That’s why Video is now gaining more preference amongst internet users. And also, it has been stated that nearly 87% of online advertisers use video as a part of their marketing strategies. Instagram video ads allow you to up to 60 seconds of video and are a great way to attract more new customers and followers to your Instagram business profile. Videos ads exactly look like an image ad with the exception that it’s a video with the play button in the middle of the thumbnail image. Give more importance in choosing the video! If you’re introducing a new product, then you can use videos like a product demo, how-to, and product features. This kind of ads helps the users to see more than one photo or video by swiping through the content in a single post. Using carousel ads are the best option if you choose to display more pictures in a single. You can also choose the top performing image ads and then run it as carousel ads. Use stories that are engaging, interesting, and captivating! Make sure to choose videos that drive more active followers. Hope now you get an overall picture on Instagram, the best No.1 Social media platform. And now it’s the right time to discuss on the top Instagram marketing strategies! Hashtags are the important part to be considered when it comes to Instagram Marketing. You might think that captions are important to tell the story behind your image, but the fact is hashtags allow you to get your image (and caption) seen by those outside your current sphere of followers. When users search using the relevant industry-related hashtags, your image will pop up if you use the apt hashtags. There are a few criteria you need to follow when it comes to choosing the hashtags. Thinking what are they? Use less popular hashtags yet highly-relevant hashtags. These may drive fewer users to your posts, but the ones who do find you will be more targeted. Use hashtags commonly thought to attract new followers. Some of the most commonly used are #followme, #follow4follow and #follow. Note: Try to use at least one hashtag on each post. Don’t worry about using too many hashtags; some research even suggests that engagement is highest on posts that have 11+ hashtags! There are many ways to build an active Instagram community! As said above, Instagram hashtags are one of the ways to be the part of an Instagram community. Just like Facebook, liking and commenting on others post will create a better engagement on your post and helps to be the part of the better Instagram community. The next is participating in Instagram Campaigns. There are many campaigns which are intended to further a worthy cause can help you contribute to a greater good (#movember is a great example of a cause perfectly suited for a visual-centric platform like Instagram). Sharing images and videos from events can help your followers feel like they’re in on the action, and are a real part of your community. Have taken a photo and wish to post it in Instagram? Wait… Wait! There are a few optimal posting frequencies which you need to follow to get more active followers. Start with once a day, i.e. one post daily and then significantly try increasing the frequency. When you think an engagement to your page is dropping, reconsider your posting level and post it accordingly with the best interesting photos and videos that help to attract more followers to your page. To be more successful brands on Instagram, pay careful attention to how their images contribute to their brand’s identity. They seem to have an overarching theme to their images – and this theme is also closely related to their overall company image. Rather than posting simple promotions and random shots of coffee or beachside photos, you can use the images to further mission and story. Completely optimizing your profile just takes few minutes but it gives more for you in terms of ROI, brand awareness and visibility for your business. Optimizing your Instagram business profile can have a significant impact on how many people click-through to your site. Make sure you are using images and description caption which is relevant to your brand and business. Don’t forget to give a link back to your website. Create a specific landing page and give a link back to your website. You may want to create a landing page specifically for Instagram visitors or change up the link destination to promote your current campaign or content. Make sure to use your company logo somewhere in your profile; this will help to give your visitors an indication on – This is your business account! Consider adding one brand-specific hashtag to your profile so users know it ‘belongs’ to you. Make sure your images and other content are consistent with your other social media properties. Keep in mind that keywords and hashtags in your Instagram bio are not indexed and do not show up in the search. So instead of using your bio to attract search traffic, use it to clearly articulate what your brand is about, and to entice users to click-through to your site. You can be effective on Instagram utilizing just your Instagram application. However, there are few other tools available that can spare you time and give you better knowledge on how well your posts are standing better on the platform. One of the important tools you need to make use of is hashtagify.me. This is most often used by almost all business owners and Instagram marketing experts to find the right ever trending hashtags to use in your posts. Finding the ever trending hashtags and including that in your Instagram post will a ton of credibility, brand awareness and visibility of your post. And also, this will help your post to stand alone from other posts. Read the above section carefully to know more on the types of ads which has been used in your Instagram post. Without a strong base of followers, your efforts on Instagram are probably going to be pointless. Luckily, the #1 mystery of expanding your followers is generally straightforward: creating more engagement naturally leads to the follower. At the end of the day, as you keep on posting with relevant images, your follower count will grow organically. Keep in mind that quality beats quantity. Edit your account often to leave just the best pictures. Nobody needs to follow somebody with a huge number of irrelevant pictures of food recipes or just random shots. Make sure to include a relevant caption. Giving captions by asking questions is a great way to increase engagement. Be consistent. Know who you’re posting for and why you’re posting. Use a tool like Piqora to see which pictures are prompting the Instagram users to interact (at that point post a greater amount of those kinds of images). Engage in your own photos and on other people’s. As people see that you’re regularly interacting, they’ll be more likely to follow you. Promote your Instagram account everywhere: to your email subscribers, on your physical marketing materials and to your other social media fans and followers. The credibility and weight of your Instagram account depend on the number of followers and number of following, i.e. you should be an active follower. Find people you already know: Once you logged in, just go to your profile page and click the option in the top right! Tap on ‘Find Friends’ to follow people on your Facebook friends list, contact list and suggested users list. Find people you might like to follow via Instagram’s Search and Explore feature. Click on the magnifying glass icon, and then scroll down to ‘Explore Posts’ or ‘Explore People’. Follow influencers in your industry. A tool like Keyhole will allow you to search users and posts by hashtag and sort the results based on the number of likes they have received. 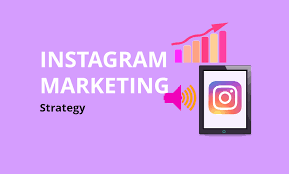 I hope the top 10 Instagram Marketing Strategies has given you the perfect start to use Instagram as a part of your marketing strategy. For more insights on Instagram and social media marketing, stay tuned with BulkQ!